[NEW!] 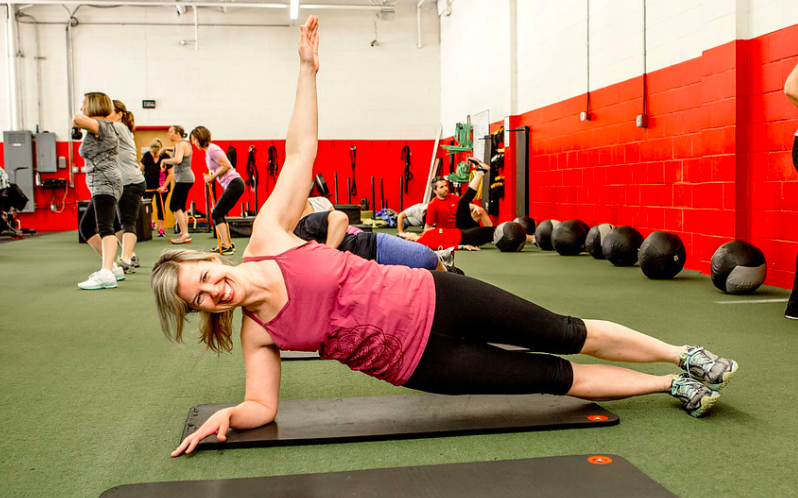 What is DSC's Women's Online Fitness Program? I’m going to be perfectly honest for a minute. I’m fed up and I'm frustrated. I’m tired of the typical fitness and health experience available for women. Where is the support? Are we just supposed to do it all alone? Where is the guidance to help women navigate how to live a healthier and happier life? Are we supposed to magically figure it all out ourselves? Where is the community where women can share their struggles, lift each other up, and help one another? And I am on a mission to create it! 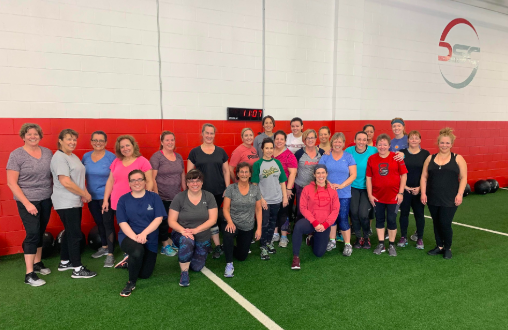 Over the past four years I’ve had the incredible privilege of working with hundreds of inspiring women with our Women’s Group Training Program. 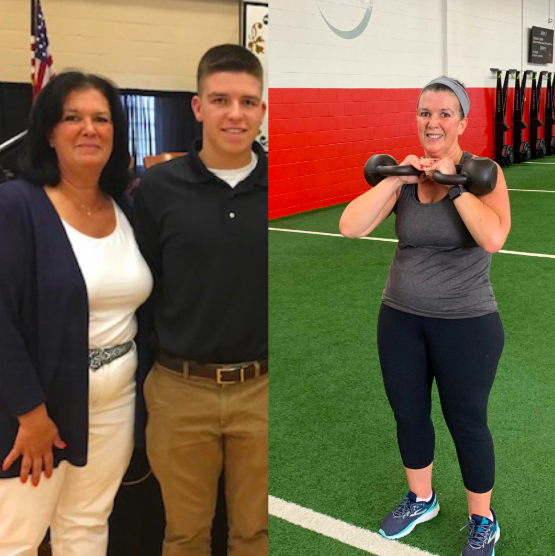 It has been amazing to watch women go from never working out to completely transforming their lives, habits, and health in a matter of months. 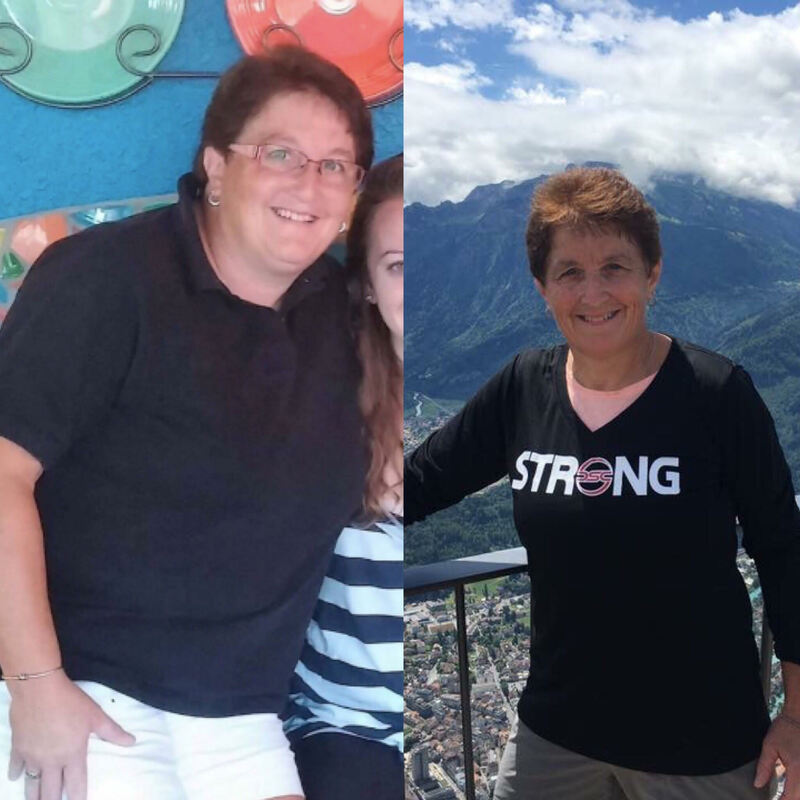 Like Dawn who has lost 88lbs! Watch Dawn’s interview HERE where she shares her incredible story, struggles, successes, and experience at DSC. 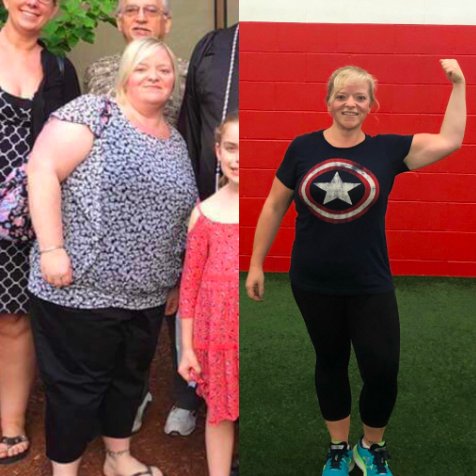 And Cheryl who has lost 45lbs! Alongside the incredible results of our members, my favorite part of this journey has been the growth and strength of our community. 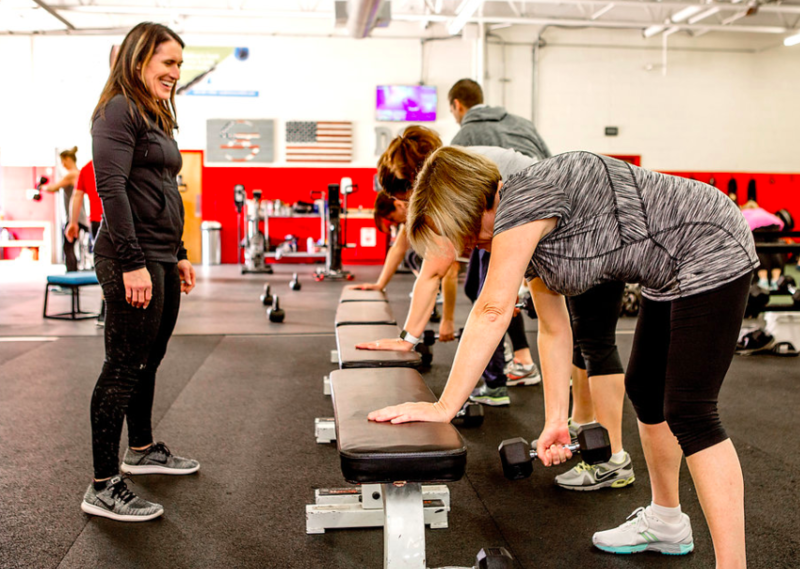 It’s hard to explain the magic of our Women’s Group Training community and the way our members interact, support, and motivate each other to get a little better each and every day. In starting our program, I simply knew women wanted to feel better and gain more energy. I knew they wanted to get into a consistent workout routine, but most were unsure of how to get started. I knew they would THRIVE in a community with women just like them. As a woman, a mother, and a professional, I also know how hard it can be to find time for yourself. I can’t stress enough how valuable making time for your health and well-being is. Not only for you, but for your ability to help and support those you love. That is why I’ve created our DSC Online Coaching Program for Women. A program designed to empower women. I am 100% dedicated to helping you feel your best: physically, mentally, and emotionally. I’ve taken all the things that have made our women so successful here and brought it online to you, where you can access all of my coaching, motivation, nutrition, and support right from your phone or laptop. Yes, now you can access my coaching from anywhere. No problem. You can get all of your material, workouts, and nutrition coaching when your schedule allows. Let’s get into what our Women’s Online Training Program is all about! The #1 goal of this program is to provide the support the guidance you need to be successful. Imagine being surrounded by women with the same backgrounds and goals as you. Things are about to change! You don’t need to do this on your own anymore. You don’t have to rely on sheer will-power any longer. Working out doesn’t need to be a chore. It can be fun! You don’t need to starve yourself to see great results. Think of me as your health and wellness tour guide. My job is to make getting healthier, losing weight, and feeling great, easier. To provide education not only on what things you can implement to improve your results, but also the why behind it. We will have a private group page just for our Women's Online Members. Here members can share their questions, struggles and victories. Ready to get yourself into a consistent workout routine or looking to add more to your current regular workouts? Ready to build strength and shred those extra pounds? Well I am going to be right there with you in your living room now with our online home workouts! I will be providing 2 weekly quick and fun workouts, perfect for all levels. Never worked out before? Have some injuries, aches or pains you’re dealing with? I am going to coach you step-by-step through all of the exercises and provide various levels of each exercise so you can be successful no matter what your fitness background is. All you need is some space - no equipment is required! Get ready to sweat and have some FUN! You may have heard the saying “you can’t out exercise a bad diet”. There is certainly some truth to that. Think about it...if you workout 3x/week that's roughly only 3 hours out of the entire week where you're making a positive impact on your health. As you can see, we have a big opportunity to make some serious changes to our bodies during the hours outside of the gym too. This is all about the foods we put in our body. I am going to guide you through how to power your body, not deprive it with another fad diet. 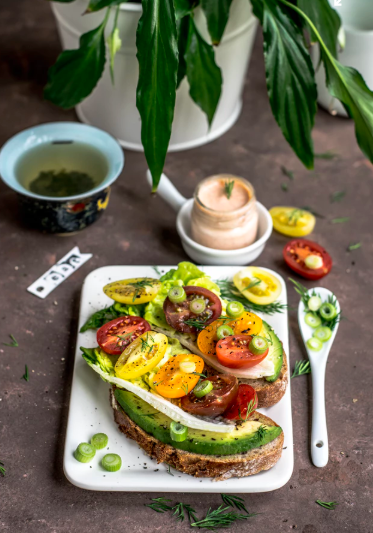 I am going to coach you on how to eat to fuel for your day, how to fuel to have more energy, to fuel for your workouts, and to fuel for fat-loss. My job is to make eating healthier, easier. We are even going to provide weekly meal plans and a recipe share to help you plan your meals for the days ahead. Even your family will love these meals and snacks! When it comes to making real change, consistency is key. Results are not something that happen overnight. It’s really about the accumulation of small, manageable wins that add up over time. Eating a healthier breakfast in the morning to fuel your day. Getting into consistent workout routine. Doing a few more repetitions in your workout than you did last time. These small daily wins add up to staggering results over time. My job is to hold you accountable to keep you on track and moving in the right direction. I will be checking in on your progress and implementing challenges throughout the program to make it fun and motivating! These are the same principles that have lead to such tremendous outcomes with our members at DSC and can work for you too. For me, it’s not just about weight-loss. It’s about improving your energy. Increasing your strength and confidence. Making your daily tasks easier. Helping you play and keep up with your children and grandchildren. Our Online Women's Fitness Program is going to start April 15th and I cannot wait to work with you! Our Women's Online Training Program starts May 1st! Click below to reserve your spot!